Resonance control is increasingly recognized as being necessary for high resolution audio playback. While many think first of resolution control for mechanical devices such as speakers, turntables and optical transports, electronic devices similarly benefit. 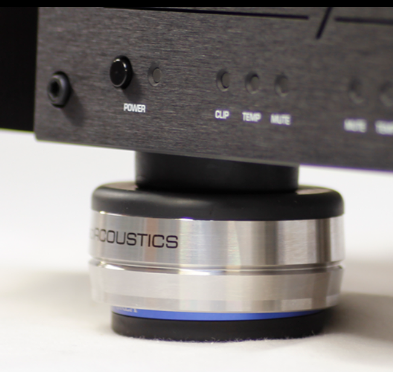 ISO ACOUSTICS began by making speaker stands that enhance the sound clarity of any speakers including studio monitors, home audio systems and sound reinforcement. The patented approach is based on years of experience in the design and construction of radio and television studios. The driving force is Dave Morrison, closely involved in planning and building radio and television studios at the Canadian Broadcasting Corporation for close to 20 years. Dave Morrison was part of the design team faced with the challenges of building the world’s largest multi-media center in Toronto: over 1.72 million square feet, with recording studios for drama, music, and chamber ensembles, special effects, radio and television shows. The experience gained at CBC has become your gain with Iso Acoustics adjustable audio speaker stands. 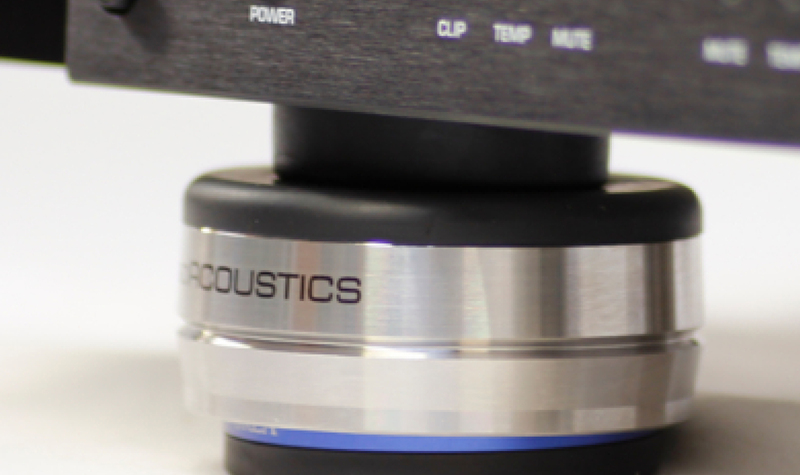 More recently Iso Acoustics added two new lines of footers; the Gaia’s and the Orea’s. Gaia’s come with threads and are designed to screw into the bottoms of devices that already have female threads: these are typically speakers, but also a number of electronics. Oreas on the other hand are for electronic equipment that doesn’t have threads. Both Gaia’s and Orea’s come I various sizes, to match the weight of the particular piece of equipment with which it will be used.